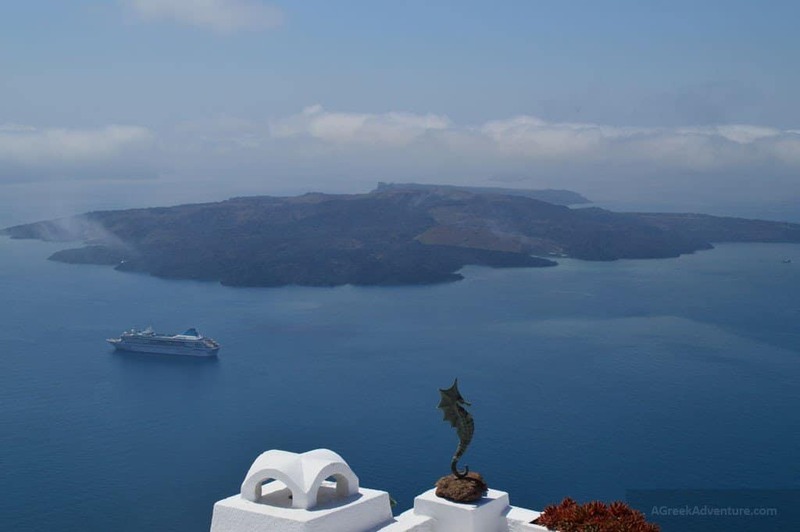 There is no way someone will miss Santorini Fira (or Thira). 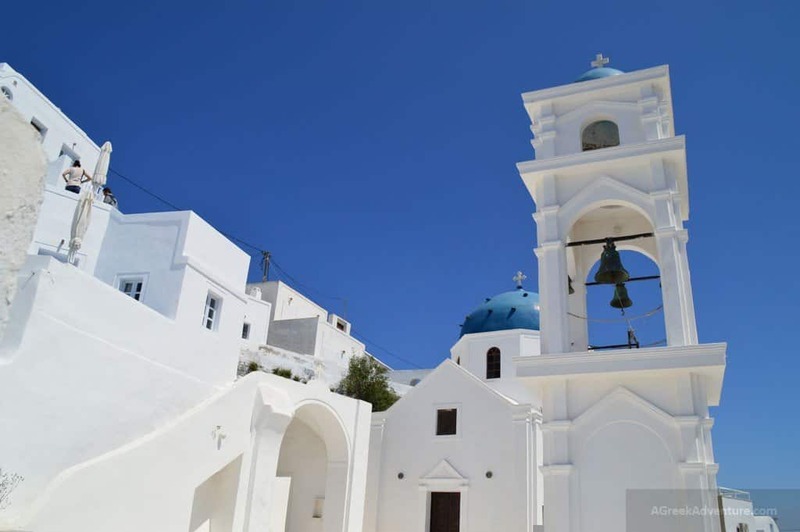 It is the capital of Santorini and all main public services are there. Most of the nightlife happens there too. 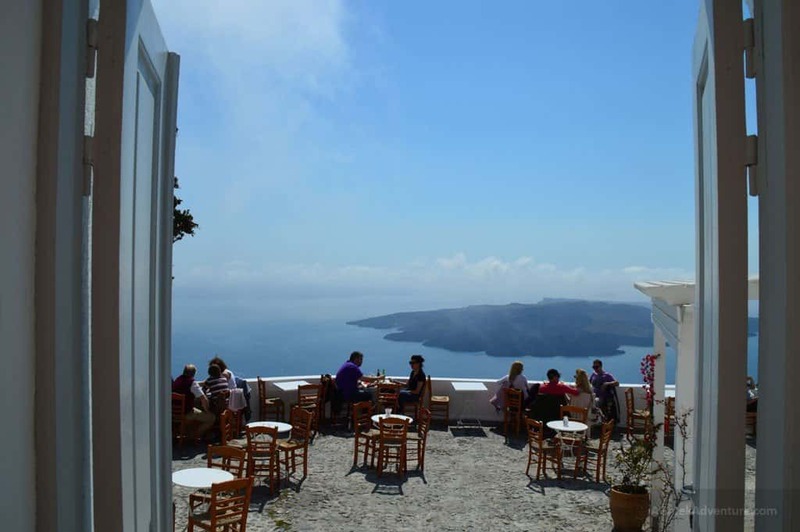 A good part of Fira is pretty nice to visit, stay, see, eat there and enjoy the view, as it is also at the edge of caldera (like Oia and Imerovigli). 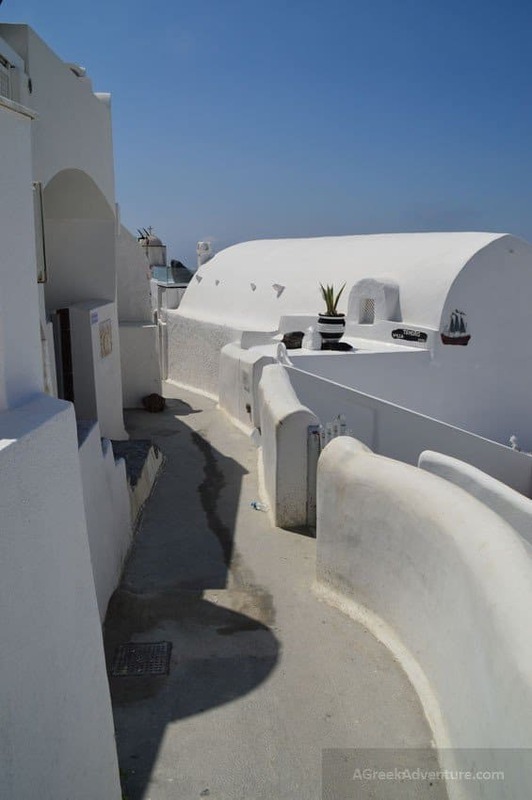 There is a nice walking route from one side of Fira (Thira) to the other, but it is better to extend and also go through Firostefani. Many do not understand that these 2 are 2 different things since they are very very close. 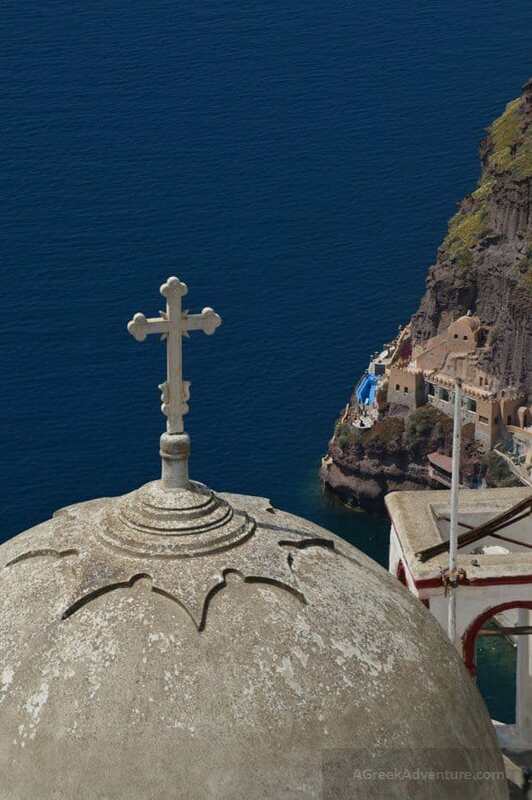 Definitely read our post of all the things to do in Santorini. So, we did that walk starting from our hotel in Imerovigli. Along the way we stopped to take as much photos as possible, since the whole area is like taking postcard snapshots of… literally everything. A 30 minutes distance took us 1 hour. Here Maria gazes the majestic view. The day was a bit foggy but mainly at the caldera. 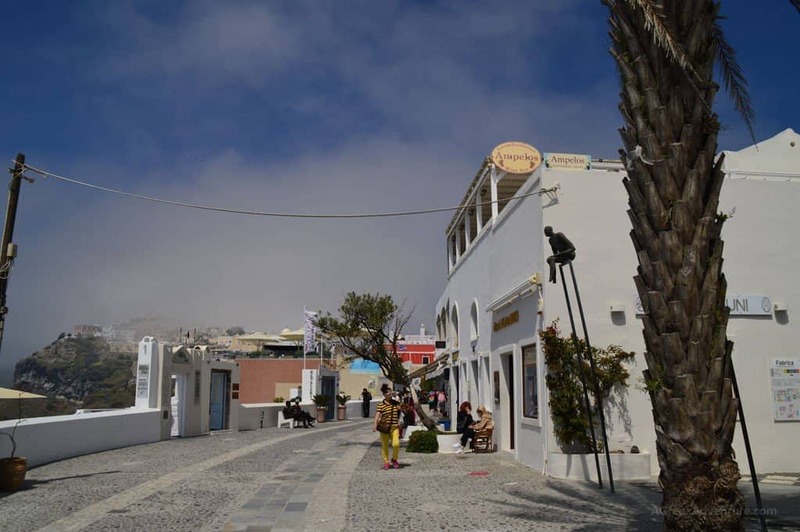 The fog touched mainly Fira (Thira) and Imerovigli. How white can… white be, indeed? Photos are with no process at all. Luxury hotels and villas along the way. Aren’t these church colors perfect? And this maybe? All these are rooftop decorations. 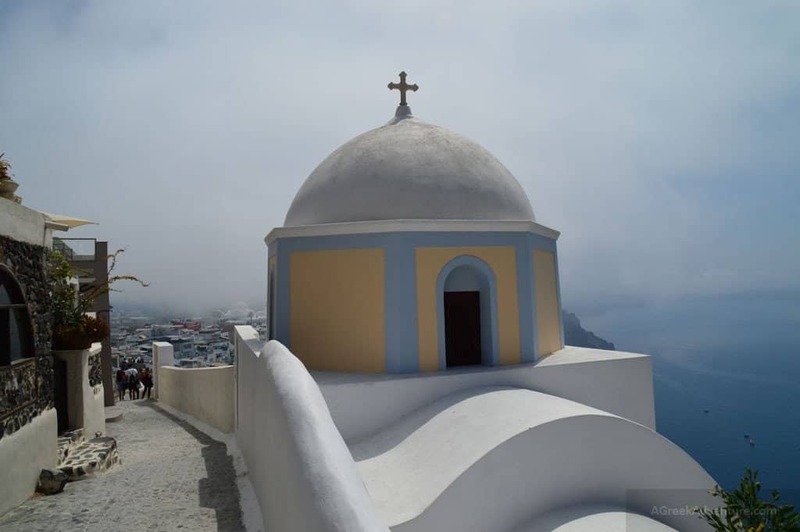 The path from Firostefani continuous to Santorini Fira (Thira). At some point you meet this square. 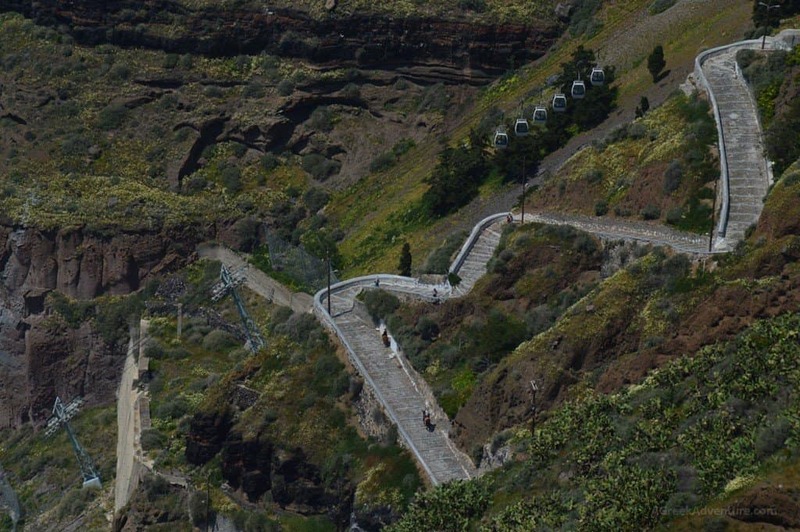 At the left side there are restaurants and bars at caldera cliff side. 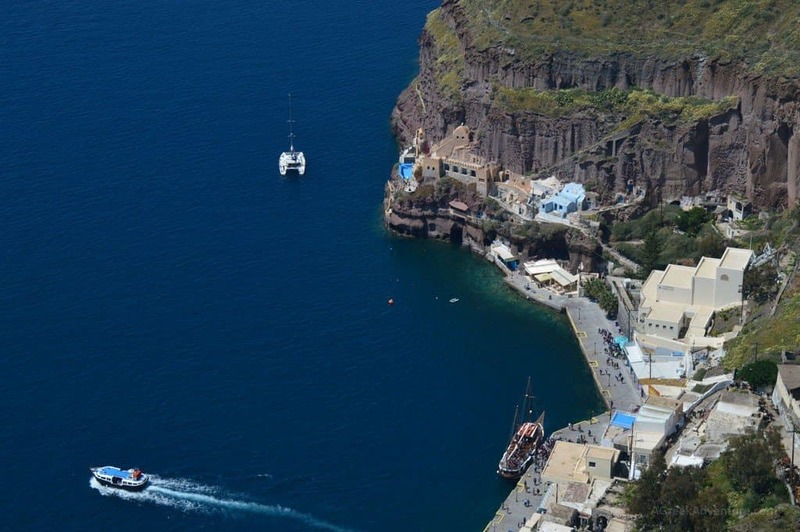 Postcard view of (part of) Thira harbor. These stairs lead from the village top to the harbor. They are a lot and in a hot day, getting up and down can be exhausting. 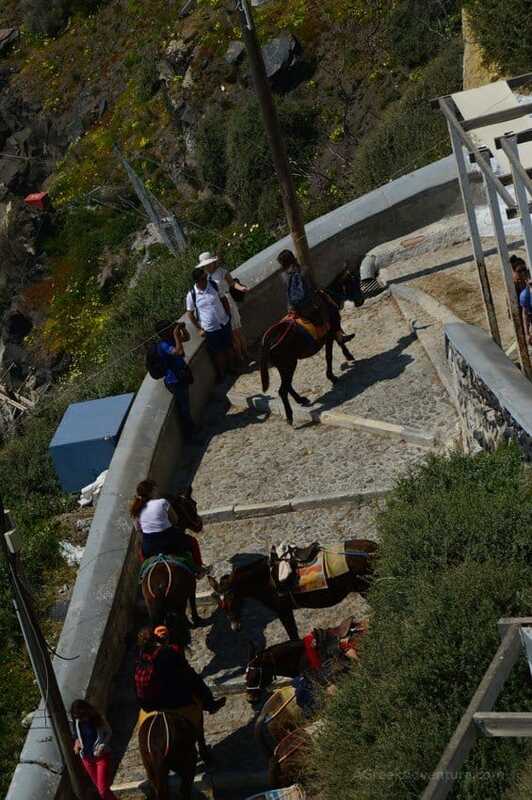 However, tourists go to the harbor with either Cable car (around 6 euro per person, one way), or on donkeys/mules (we didn’t do that so, we don’t remember the price). This is the Fira harbor. From here ships sale towards Nea Kameni too (the volcano). These ships are very nice ones and they take you for swimming too. They usually have bars on board with actual bartenders. This is the view from a cafe where we had a break. 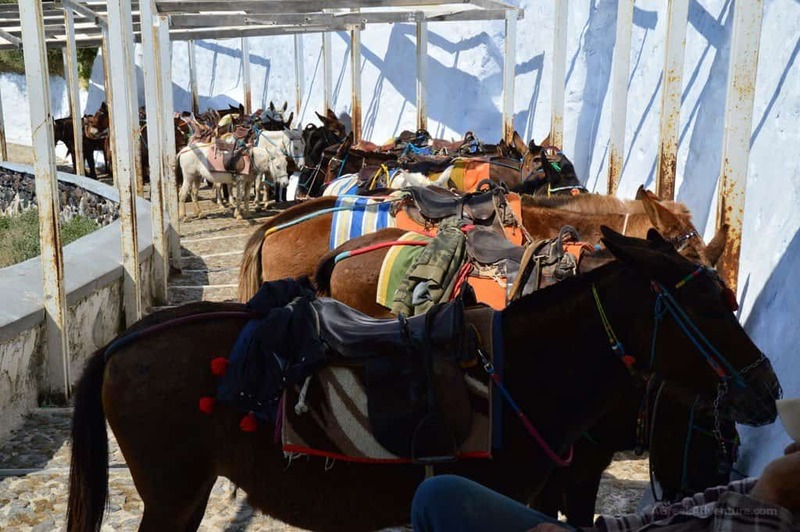 Donkeys and mules waiting for taking people up and down. We really loved this one. We had our break to another similar cafe and we were sad not to find this one first. Sun was strong but the view… Oh… the view was amazing as you see. There are hundreds of restaurants, taverns, cafes and bars inside Santorini Fira (Thira), but -analogically- very few strictly for “souvlaki”. All and all we liked Fira a lot. When you visit do not miss to go to the Archaeological museum of prehistoric era of the city. 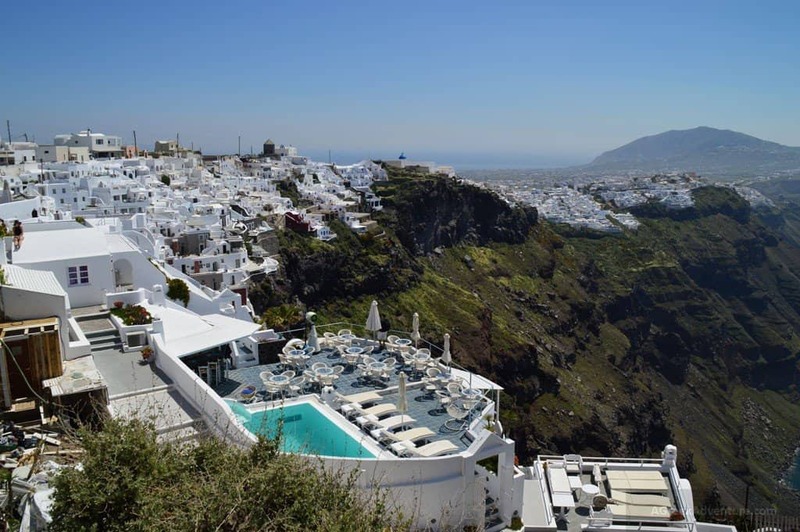 There are lots of hotels to choose from, in Fira (Thira). 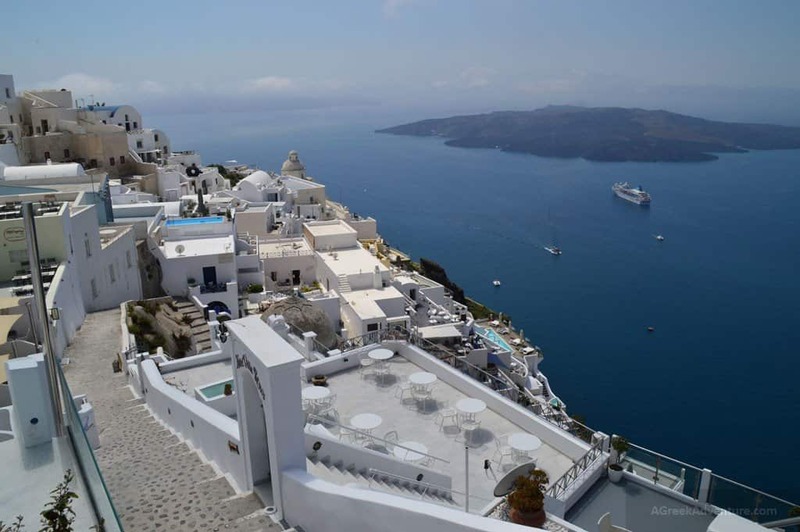 This city is the capital of Santorini, so expect to be a bit crowded when you stroll around at the streets. 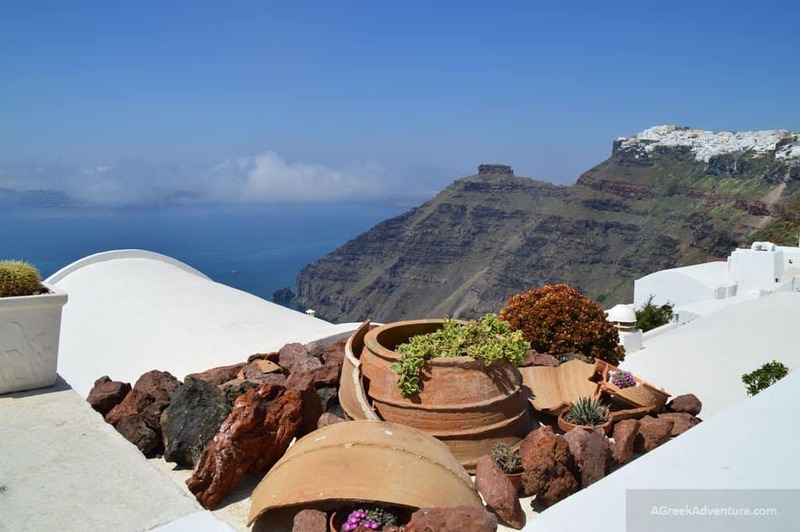 The view towards Caldera at the edge of the village is stunning, as is from Imerovigli and Firostefani and Oia. Most of the nightlife fun happens in Fira. 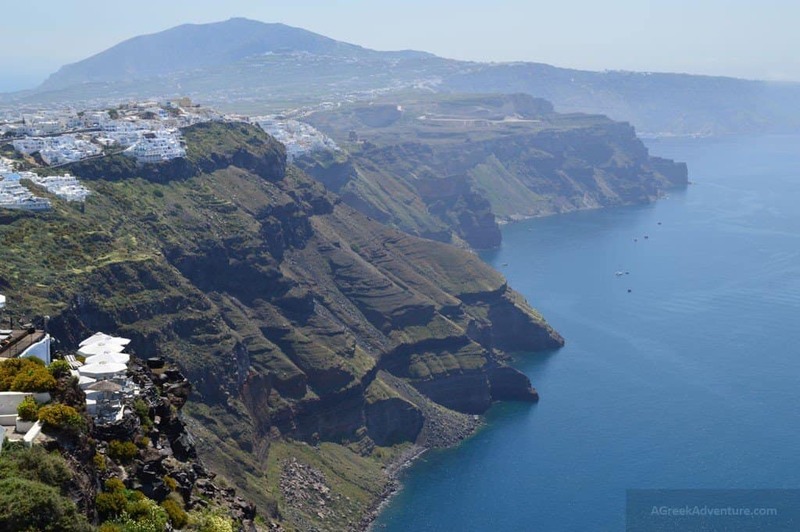 Did you know that you can hike from Fira to Oia? There is an easy 10km scenic route you can do. Here are a few accommodation selections, but also visit our post for lots of accommodation options per traveler type. Aria Suites: Luxury hotel. 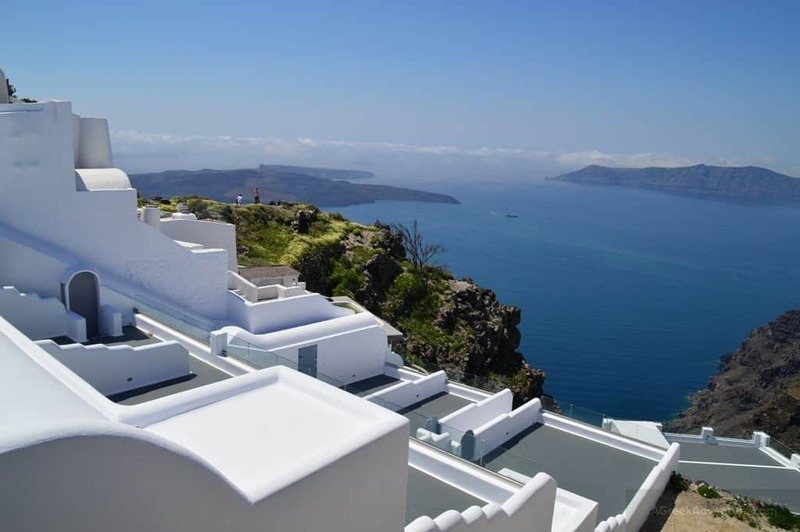 If your budget permits it then book a villa there. They offer much better vies. Cosmopolitan Suites Hotel: Best as a Honeymoon hotel. There is a big infinity pool too. 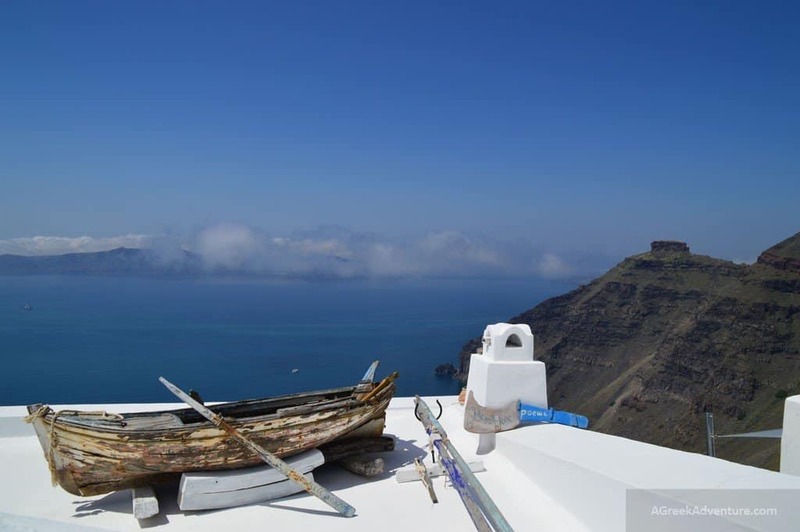 Keti Hotel: Maybe the best view indeed in Fira. 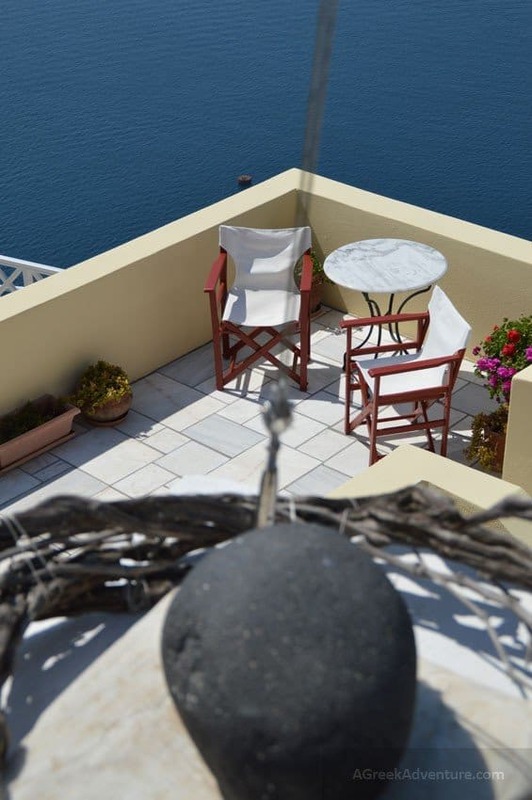 San Giorgio: A very good budget option, close to caldera views. Kavalari Hotel: Could be the best option for the lowest budget. 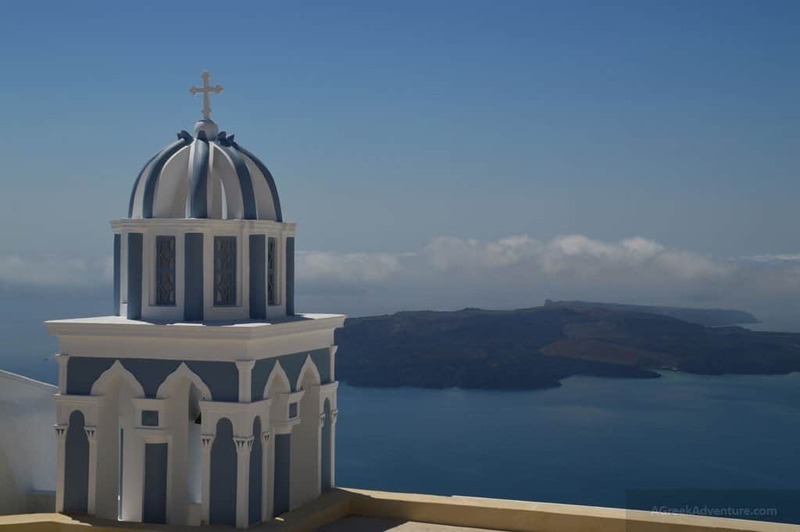 Of course first you need to land to the island of Santorini. You can arrive there through ferries and flights. 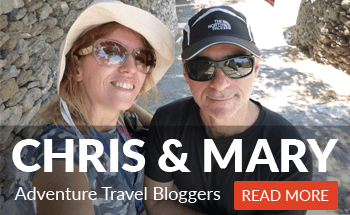 Most get there through Athens, Mykonos, Crete. 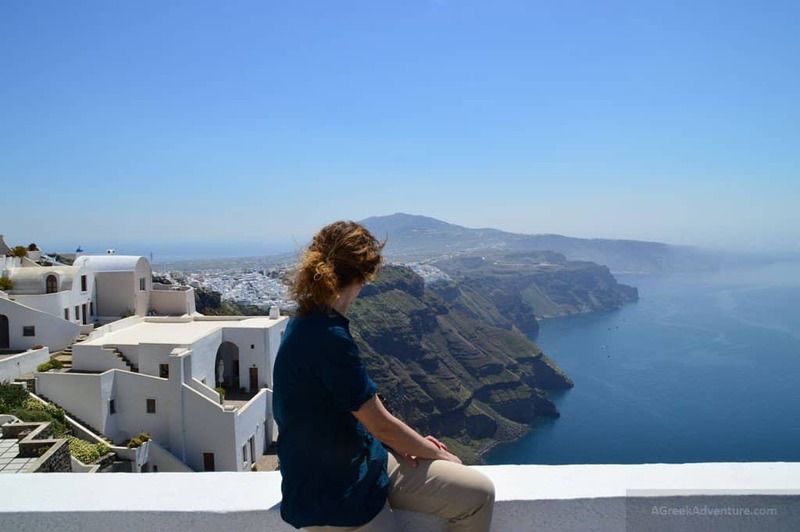 Each of the post below describes the ways to get to Santorini in a very analytical manner. 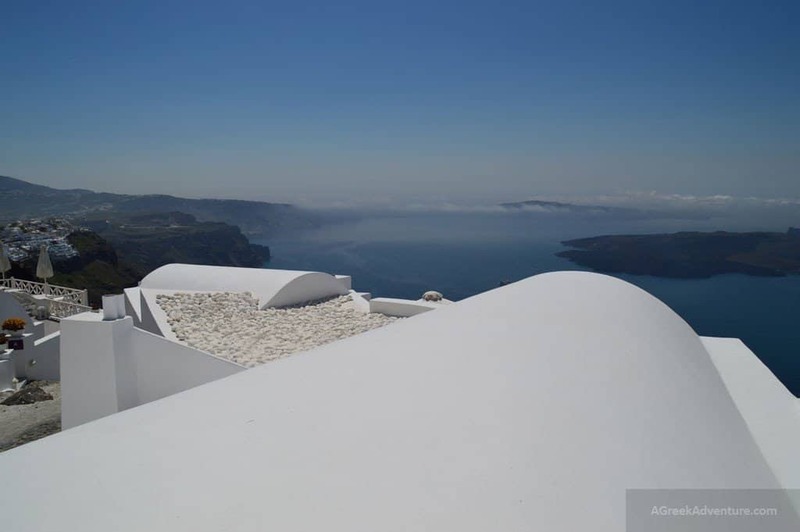 Have fun in Santorini or wherever you are!